Huge thanks go out to Peg and Becca from Sew Fresh Fabrics. and Best of all ....... HE LOVES IT! There was no way I was going to get this child (a teenager) into a Quilt shop. 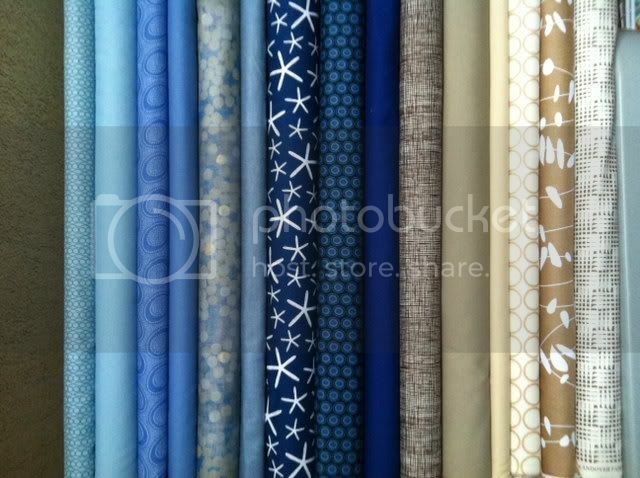 I love all the fabrics for a boy quilt, but I can see where a teenage boy may not be a fan of the blue starfish type print. lol. I agree it would make a nice addition to your fabrich stash.